Collaborative practices are in the very nature of theatre. One of the most thriving, vibrant and exciting theatre cultures in the world is Brazil, offering plurality of various forms of theatrical expression. Brazilian Collaborative Theatre provides the collection of fifteen interviews with the leading contemporary theater directors, performers and choreographers and their respective groups, investigating their creative approaches and experiences of theatre making processes. We explore the cultural landscape that constitutes present day collaborative theatre in Brazil, in which practitioners are concerned with the very real questions; such as how theater is created and produced, for which audiences and through which models of cultural production? 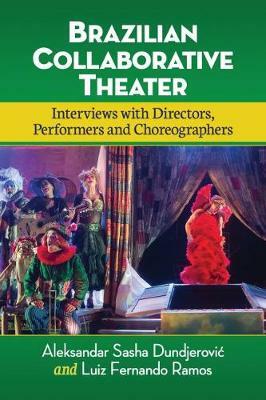 Within the Brazilian performing arts and cultural context, this book of interviews is unique as it brings voices of most established and prolific creators in present day Brazilian arts theatre scene. It also looks closely at autonomous performance and authorial staging and goes beyond text and playwright and examines the collaborative and interdisciplinary nature of theatre that predominated from the 1980s into the following decades. The main aim of the book is to offer new knowledge on present-day performing arts in Brazil, key artists and their companies that can have wildly influence on other cultures, creators and the audiences alike.